The UK's biggest employer organisation and largest trade union body have expressed alarm over the prospect of national companies implanting staff with microchips to improve security, after it was revealed BioTeq - which offers implants to businesses and individuals - has already chipped 150 Britons. 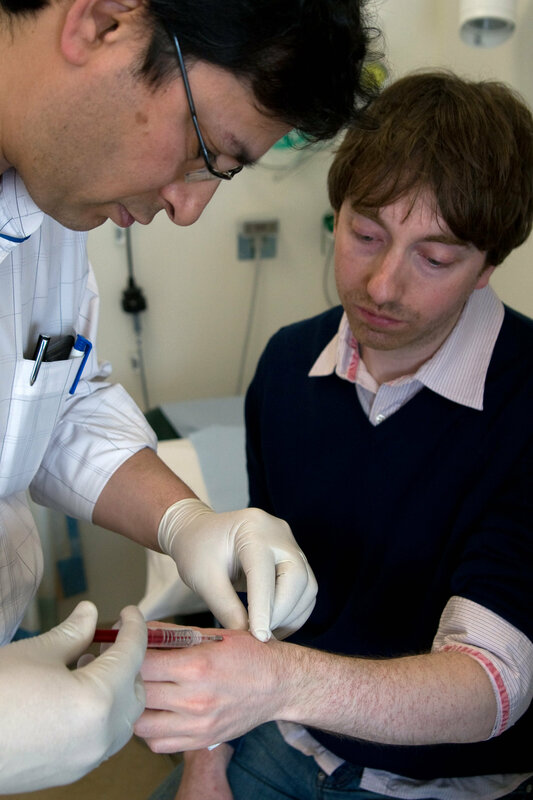 ‘Biohacking' — in which microchips the size of a grain of rice are typically injected in the flesh between the thumb and forefinger — is gaining increasing traction across Europe, particularly Scandinavia. The digital implants can store data — such as medical information — or allow bearers to to open electronic security doors, and even start cars. On November 11, the Telegraph reported Swedish firm Biohax was in discussions with several British firms about, including a major company with hundreds of thousands of employees. The firm, which plans to open an office in London, claims to have microchipped 4,000 people so far, mostly Swedes. It is currently working with state-owned rail firm Statens Jarnvagar to its passengers to travel via implants rather than traditional tickets. The firm made headlines the world over in April 2017 when the mainstream media reported the firm was responsible for the forcible implanting of microchips in employees of Swedish firm Epicenter, a corporate innovation lab, to monitor how long they spent on lunch, and cigarette and bathroom breaks. The reality of the story was, according to Patrick Mesterton, Chief Executive and co-founder of Epicenter, much less nightmarish. "I was shocked at the massive exaggeration. The implants are so-called passive chips — they have no built-in power supply, so can't send signals on a subject's position or movements. They get their power from and can only send data to reading devices that must be applied directly to the chip. Your mobile phone or internet search history poses a bigger threat than the RFID chip we use ever would. We're certainly not tracking when users go for a cigarette and how long the take — we simply can't," he told Sputnik at the time. 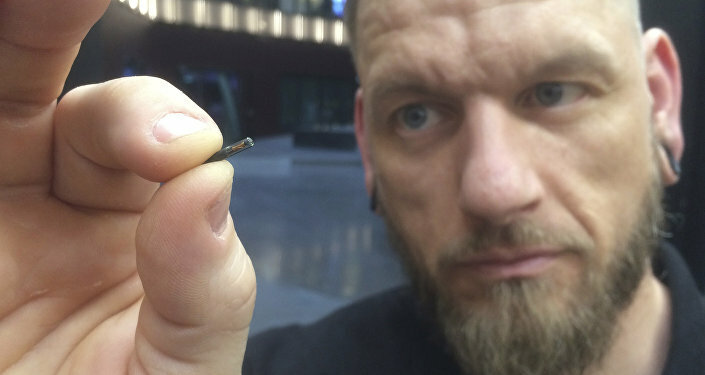 Jowan Osterlund, founder of Biohax and a former body piercer, told the Telegraph the microchips could assist financial and legal firms in improving security around "sensitive documents", by setting restrictions on who can and can't access "sensitive documents". Whatever the truth of the matter, the Confederation of British Industry, which represents 190,000 UK businesses, has publicly voiced concerns about the prospect of Biohax, with a spokesperson telling the Guardian while technology is changing the way everyone works, the Telegraph report "makes for distinctly uncomfortable reading". "Firms should be concentrating on rather more immediate priorities and focusing on engaging their employees," the organization suggested. The UK Trades Union Congress expressed worry about staff being coerced into getting implants, with General Secretary Frances O'Grady saying workers were already concerned some employers used tech to control and micromanage their activities, all the while "whittling away" their staff's right to privacy. "Microchipping would give bosses even more power and control over their workers. There are obvious risks involved, and employers must not brush them aside, or pressure staff into being chipped," he said. Such concerns are widespread and longstanding in the Western world, but have seemingly done little to halt or hamper biohacking's proliferation — in 2017, ‘break room solution provider' Three Square Market partnered with Biohax and became the first private US company to microchip employees, on a voluntary basis.